So says Kenny Moelis & Co., which just broke ground in Dubai, making the emirates home to the investment bank's seventh outpost across the globe. 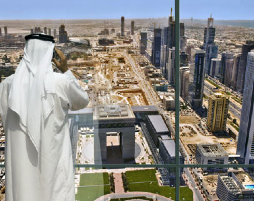 Moelis & Co., which counts Dubai World's $23.5 bilion restructuring among its deals, is no stranger to the Middle East -- a region that's still suffering in the wake of the worldwide financial crisis, but one in which Moelis & Co. believes there's a sheik-load of money to be made. "The Middle East and North Africa is of key strategic importance for Moelis & Company and our clients," said Moelis CEO Kenny Moelis in a press release. Mark Aedy, head of the firm's investment banking business for Europe, Middle East and Afrcia, noted in the same release that Moelis & Co. expects "a high rate of economic growth" in the region, with "increasing financial markets activity and significant cross-border capital flows for a sustained period of time." Augusto Sasso, the head of Middle Eastern and North African investment banking at Moelis (and former CSFB and DLJ banker), will oversee the new office.